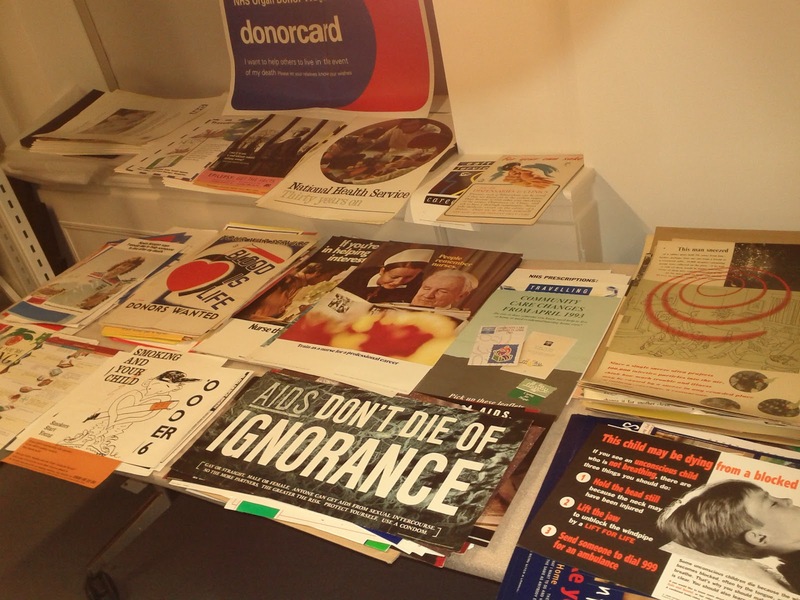 The Wellcome Library has acquired a collection of 600 British posters dating from the 1940s to the 1990s advertising the health-maintenance activities of the British state. Most were produced by the Central Office of Information for the U.K. Ministry of Health (subsequently Department of Health and Social Security, subsequently Department of Health). 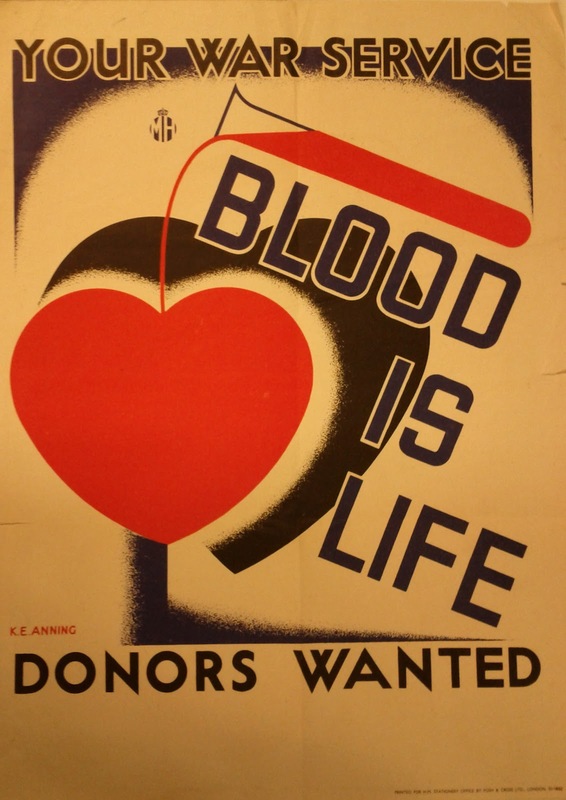 The posters cover the following subjects: Blood donation (135); Children (44); Diseases (121: AIDS, asthma, colds and flu, diphtheria, epilepsy, meningitis, rabies, rubella, tetanus, tuberculosis); Drugs or narcotics (53); National Health Service services and charges (80: ambulance service, cervical screening, community care, emergency GPs, evaluation, fares to hospital, NHS 30th anniversary, prescription charges, spectacles); Nurses and midwives (87, including recruitment, Queen’s Institute of District Nursing, etc. ); Organ donation (44), Travel and health (8); and Miscellaneous (26: air-raids, disability, health and safety, health of the nation, hearing, incontinence, mental health, and teeth). Proof pulls and storyboards are included as well as finished versions. 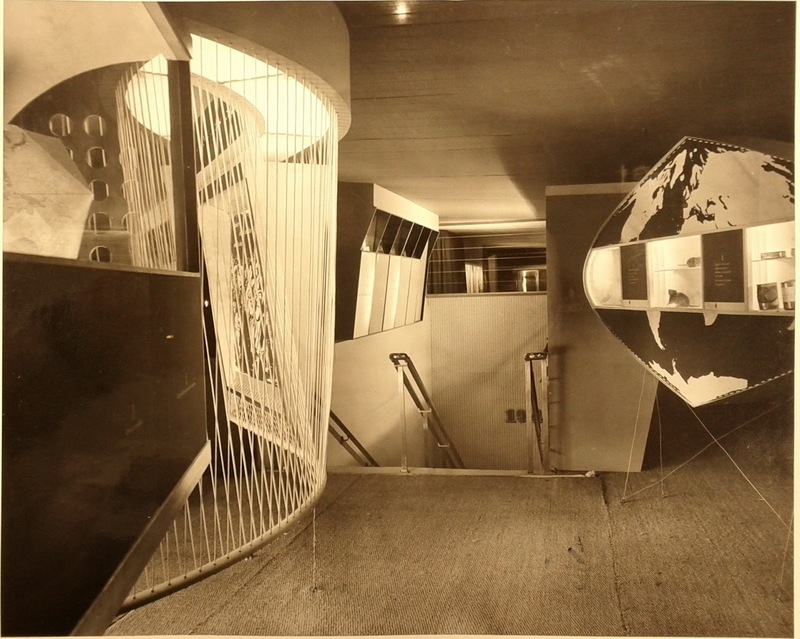 Named designers include Reginald Mount, K.E. 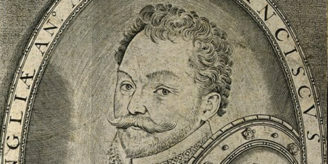 Anning (above), and Abram Games. 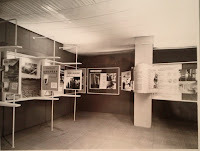 The posters are accompanied by a large collection of photographs, drawings, etc. 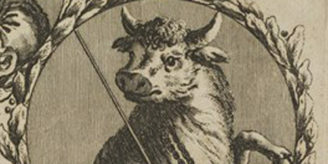 which have not yet been explored, except for one item, a photograph album (Wellcome Library no. 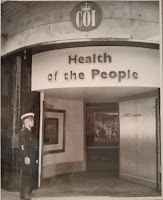 811058i) recording an exhibition from 1948 called Health of the People. This exhibition was put on by the Central Office of Information in Oxford Street, London (but where in Oxford Street?) apparently to publicize the introduction of the National Health Service (NHS) in that year. 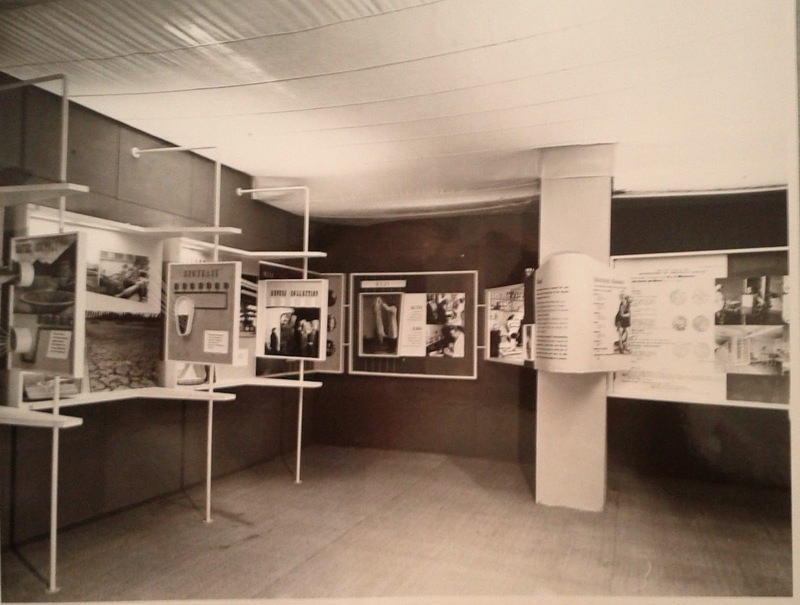 On display from May to June 1948, the exhibition was an ambitious attempt to communicate the history of public health and the difference that the NHS would make between the past and the future. Much attention was given to new laboratory-based services. 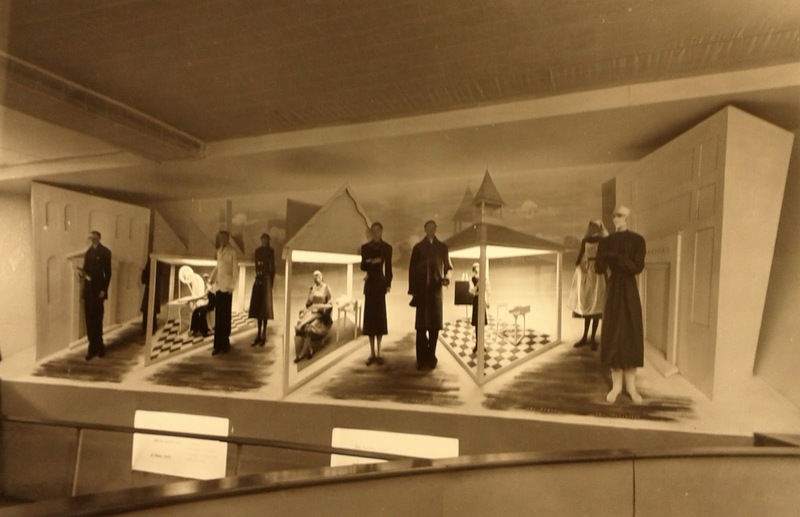 The photographs makes it look like a halfway-house between Britain can make it at the V&A in 1946 and the Festival of Britain on the South Bank in 1951. No names of contributors (commissioners, writers, designers, manufacturers) are given, but surely they must be recorded somewhere; possibly in the unexplored parts of this same collection. The script which accompanies the album makes much reference to the Public Health Act of 1848, the centenary of which was being celebrated. 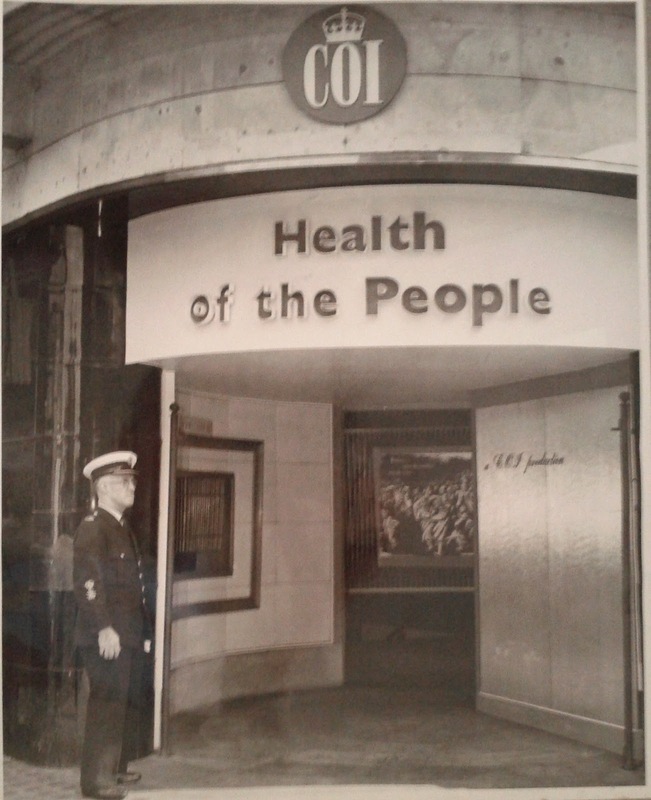 Did this period see the high-water mark of state involvement in health in the British Isles? If so, our successors will no doubt look on these documents with incredulity. Only time will tell. 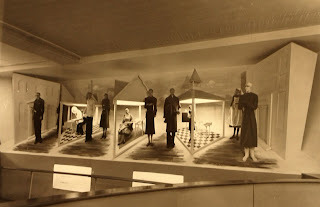 Displays in the Health of the People exhibition, 1948. Left, “the health team, consisting of the family doctor, dentist, nurse etc”. Above, stands on protection of towns, water supply etc. Top, the staircase between floors.